As the founders of recruitHer, Ashley Doyal and Gina Helfrich have one mission: to advance diversity in the technology industry. As the founders of recruitHer, Ashley Doyal and Gina Helfrich have one mission: to advance diversity in the technology industry. 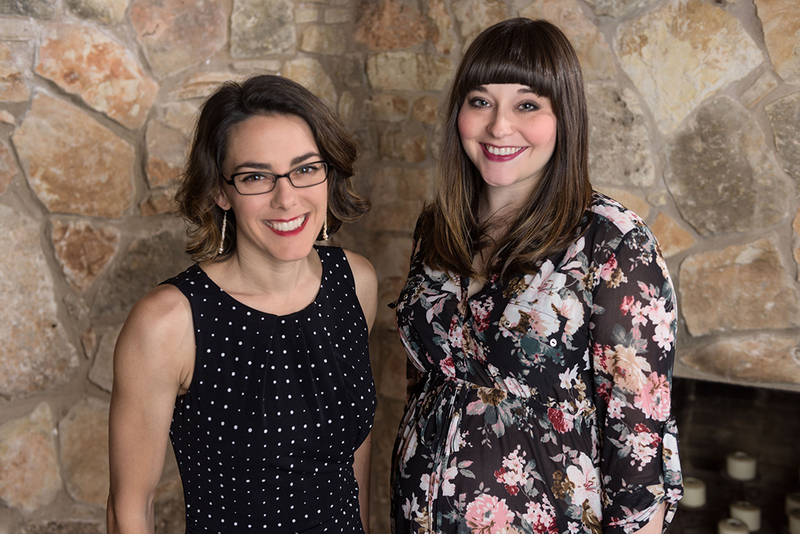 Now, with clients like Pinterest, Pandora and RetailMeNot, these two women and their Austin-based recruiting firm are proving why diversity is critical to candidates as well as companies. In the modern world, it might be a surprise to learn that women hold only 26 percent of technology jobs. For women of color, that number plummets to 3 percent. Some say the numbers are so staggeringly low because girls aren’t encouraged to pursue Stem (science, technology, engineering and math) coursework in school, but that’s only part of the problem. Fifty-six percent of women in technologyend up leaving their positions mid-career, and only 20 percent of them return to the tech industry. So what can be done to solve this huge retention problem? Enter Ashley Doyal and Gina Helfrich, the founders of recruitHer, a full-service recruiting firm that connects candidates with tech companies that provide inclusive and supportive workplaces for women and other under-represented groups. In addition to offering job-matching and career-coaching services, recruitHer offers recruiting services and diversity consulting to companies that want to hire and retain more diverse talent. Between them, Helfrich and Doyal have more than 20 years of experience promoting diversity and inclusion in their areas of expertise. Doyal is an experienced recruiting and human-resources professional. She began her career working for a medical-staffing agency whose major client was the U.S. Army. Next, Doyal worked for a small startup before landing at locally based gaming company Electronic Arts. There, she co-founded its Diversity and Inclusion Guild, which partners with organizations that empower people with different backgrounds, and began offering advice to anyone who approached her about women in the gaming industry and in tech, as a whole. Meanwhile, Helfrich was firmly rooted in academia. She holds a Ph.D. in philosophy and women’s studies from Emory University, and after serving on the Presidential Commission on the Status of Women, she became the director of the Harvard College Women’s Center. Helfrich soon felt the need for a new challenge, and moved to Austin, where she had heard there was a vibrant technology community, with the intention to “be a drop in the ocean” as a woman working in tech. At South By Southwest last year, she met a woman who worked in diversity consulting, inspiring her to start her own management-consulting business. “I thought, ‘That is the kind of thing that I would get up and be really happy to go to work and do every day,’ ” Helfrich says. During Helfrich’s initial exploration for her consulting business, people kept asking her if she planned to match candidates to the companies she worked with. Because recruiting isn’t her area of expertise, Helfrich posted a request for an informational interview with a recruiter on the Austin Digital Jobs Facebook group, and Doyal responded. “When Ashley and I talked together on the phone, we realized together that these things are interconnected [and that]we could utilize our expertise to reinforce good behavior from companies,” Helfrich says. If a company is having problems with attracting and retaining diverse talent, recruitHer offers management-consulting services to help make their processes and policies more inclusive. One of the ways in which recruitHer focuses on reducing diversity debt is making companies aware of how unconscious bias may affect their hiring processes and HR policies. “You have to be aware of the way [unconscious bias]works in order to set up steps to mitigate those influences in your hiring decisions and your interview process. … Education is the first step in figuring out what we can do to make sure it doesn’t negatively impact our processes internally, now that we know our brains are wired to do this weird thing that we don’t want them to do,” Doyal says. Just hiring diverse talent isn’t enough, though. To retain women, companies need to implement and properly support inclusive policies, such as flexible work options and parental leave. Sometimes, Doyal and Helfrich agree, those are tough but necessary conversations to have with their clients. Transparency about salaries, promotion policies and bonuses is also essential to ensure women are fairly compensated. “Here’s exactly how you’re going to be measured to determine whether you get this particular promotion because, again, those are the areas where biases can creep in, and then someone who is maybe less qualified gets it because they are white or a man or more vocal,” Helfrich says. Doyal strongly opposes a hiring practice that has become routine on job applications: asking applicants to disclose their salary history. “If you’re someone from an under- represented group who has historically been underpaid, there’s no way you’ll ever catch up if you’re being paid based on your past history versus the competitive market rate,” Doyal says. “I think that’s the future: getting to a point where market rate determines what you’re being paid, not your skills in negotiation or what you look like,” Helfrich adds. Successfully implementing diversity and inclusion strategies takes time and effort, but companies that do so will see rewards for their bottom lines. Gender-diverse companies have a 15 percent higher return on investment, while racially diverse companies have a 35 percent higher return on investment. And a recent study by the Peterson Institute for International Economics shows companies with women in leadership positions have stronger profits. A diverse team can even be the thing that makes or breaks a company’s products or services. Doyal points to the release of Apple’s Health app, which comes standard on all iPhones, as an example. The app measures every intricate thing imaginable about the user’s body, such as calorie intake, sleep patterns and blood pressure, but doesn’t offer any options for tracking reproductive cycles. In addition to helping companies promote diversity, recruitHer offers job-matching services to individuals, who can simply upload their resumes on the recruitHer website and receive a call within two business days. It’s important to note that recruitHer’s focus is on diversity, and while that certainly includes helping qualified women find amazing tech jobs, absolutely anyone can sign up for the company’s job-placement services. recruitHer also offers career-transition planning, goal setting, resume and portfolio overhaul services, and more. For those who are stuck and simply don’t know where to start, chances are recruitHer will know how to help. Best of all, recruitHer gives back to organizations that support marginalized groups through its referral program. Like most referral programs, the person who refers someone to recruitHer that is hired within a year gets $1,000. Organizations that refer candidates get $2,000. And if candidates who weren’t referred by anyone get hired, recruitHer still gives them $1,000 to award to an organization that supports the community. With community support, career planning, job matching, education and more, Doyal and Helfrich’s full-service approach to diversity advancement comes in all shapes and sizes. And while one company does not fit all candidates, and vice versa, Doyal and Helfrich know that if there’s one thing capable of cracking the foundation of this technology town, it’s diversity. Do your research. Ninety percent of the process is making sure you’re well-prepared before you even start the actual negotiation. know your target salary and the minimum you’re willing to accept. Make sure to base your figures on market rates for the role specific to the location where you’ll be working. Always, always, always negotiate. If the salary number can’t budge, negotiate for benefits. Think carefully and creatively about what you want: flexible work hours, a free public-transit pass, a spot for your child in company day care? There’s more to negotiate than simply salary figures. Show you understand the other person’s perspective. Research on gender differences in salary negotiation out of Harvard’s kennedy School shows women do better when they show empathy for the employer. Say “we” to indicate you’re on the same team, and give business-based reasons why you deserve more.